Today witnessed the close of the 2017 Shanghai International Auto Show. Over the past week,Mr. 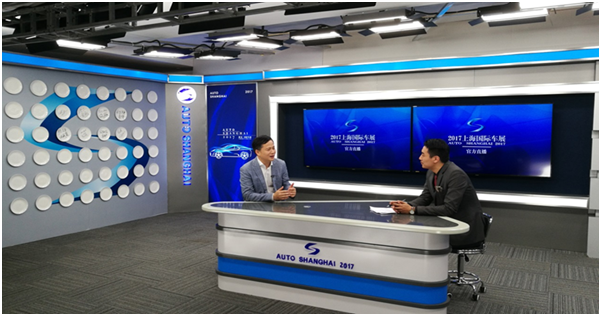 Liu Dong Li, Vice Chairman of China Rundong Auto Group Limited (Rundong Auto), accepted interviews from a number of media, including the official live room of the Shanghai International Auto Show, Autolab, "China Auto News", Sohu Cars, Auto Home, PC auto, etc. 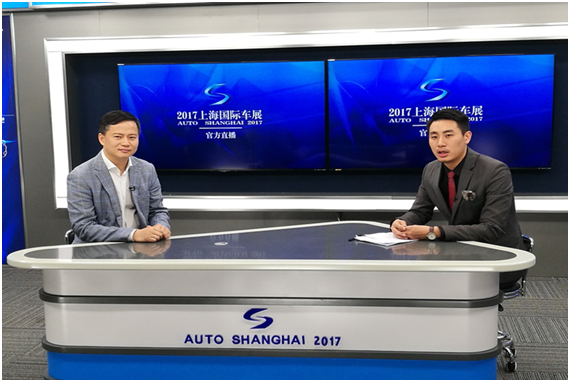 During the interview, Mr. Liu has given in-depth explanations regarding the strategic direction of Rundong Auto on different topics such as Shanghai International Auto Show, the recent issuing of the Measures for Administration of Automobile Sales, the refinement transformation of dealer service, auto life in the future, etc. Following are the featured interview reports. With a decade of rapid development, China’s auto market has undergone tremendous changes. Considering the influences imposed by the market environment and the development of the new Internet economy, micro-growth will become the new normal of the market. What’s more, auto dealers are facing a huge transition pressure and the traditional profit model of auto dealers is being tested. Under such circumstances, dealer groups are actively seeking breakthroughs. Regarding the trend of future development in the automobile market, Mr Liu proposes that Rundong Auto will dock new channels and new formats with an open mind. He states that due to the huge base of China’s auto market, even when the market is growing slowly, it is still no small increase for a single store or a brand dealer. Rundong Auto, as one of the mainstream dealers, remains the pursuit to strive for more channels to increase the market share and to make breakthroughs in areas such as scale development, resource integration, operational efficiency, financing model, organizational team management, etc. As dealers’ management level directly affects the company’s future development, Rundong Auto has made continuous efforts in exploring new channels like cooperation with and investment in vertical networks and a variety of platforms and other forms like equity acquisition of O2O platform. According to the market feedback, all of our attempts are worthy of recognition. Moreover, Vice Chairman Liu has particularly pointed out that Rundong Automobile will implement and innovate on our Group’s strategy with an open and firm mind while at the same time taking into consideration of our actual business development. With regard to the recent issuing of the Measures for Administration of Automobile Sales, Vice Chairman Liu says that the new Measure, by balancing concerns of different parties, is conducive to maintain the rights and interests of different parties like consumers, manufacturers, distributors, etc. The change regarding the cancellation of brand licensing in the new Measures boasts the advantage of breaking the original monopoly while at the same time realizing a strategic and cooperative relationship between dealers and manufacturers. With all these industry reforms taking place, consumers will become the final beneficiary. When Vice Chairman Liu receives the media’s exclusive interview, he points out that the theme of the Shanghai International Auto Show, which is "committed to better life", coincides with Rundong’s all-along pursuit of "Auto life, Better life". And the growing trend toward new energy, intelligence and sharing economy will lead to a much closer relationship between men and automobiles. Automobiles in the future will become an integrated complex, providing functions like transportation, social network and mobile office. According to Vice Chairman Liu, Rundong Auto has always regarded automobiles as a part of one’s life and believed that industry practitioners should create a more comfortable and more convenient automobile space for consumers. In the near future, the continuous advancement of technology may make the intelligent and automatic driving car possible. With our hands being liberated from the steering wheel partly or even completely, we will reach our destination while bathing in the wonderful music and intelligent voice. Such subversive experiences will definitely define a wonderful drive. Hence, when smart driving becomes possible, the real better automobile life will follow.